Leonard Bernstein's Unconventional 'Anxiety' : Deceptive Cadence For conductor Marin Alsop, Bernstein's idiosyncratic Second Symphony — inspired by W.H. Auden's poem The Age of Anxiety — is a musical quest to answer life's big questions with time out to throw a hip-swinging party. Leonard Bernstein's Age of Anxiety symphony is as unconventional as its creator. Like Leonard Bernstein himself, there is absolutely nothing predictable about the music he wrote. 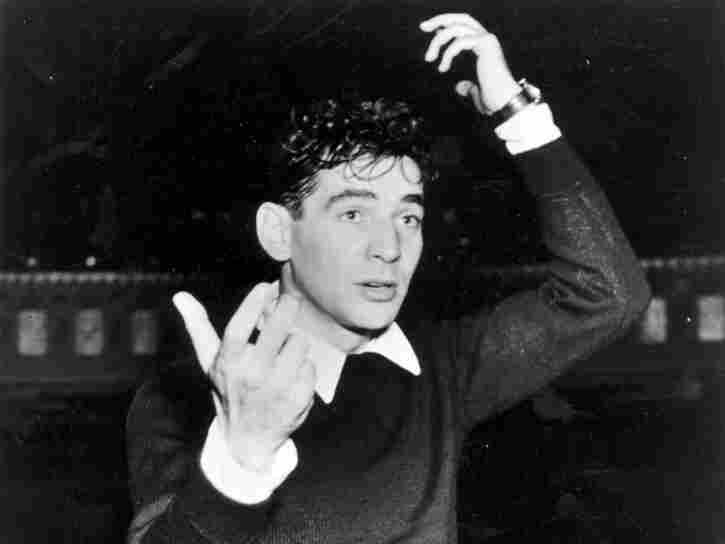 None of the three amazing works Bernstein labeled as "symphonies" in any way resemble a conventional orchestral symphony. His second symphony, The Age of Anxiety, draws its inspiration from W.H. Auden's epic poem of the same name. Like so much of Bernstein's music, this piece is an amalgam, a hybrid of tone poem and piano concerto with a highly dramatic and compelling narrative. Bernstein himself said, "If the charge of 'theatricality' in a symphonic work is a valid one, I am willing to plead guilty. I have a deep suspicion that every work I write, for whatever medium, is really theater music in some way." 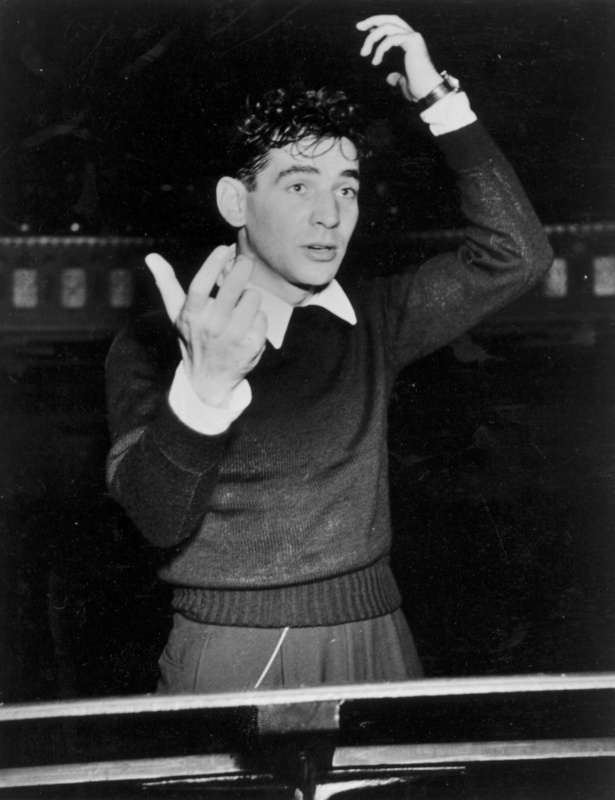 Bernstein: The Age Of Anxiety - "The Masque"
Bernstein was the best storyteller ever. I watched hundreds of world-class professional musicians suddenly revert to their 8-year-old selves when Lenny began telling them a story. He loved words almost as much as he loved music. When I traveled with him to Japan in 1990, in the days before the Internet, he brought several suitcases filled with books, including a complete set of Shakespeare and the Oxford English Dictionary. I could always tell when he had discovered an error in the dictionary because he would be in a great mood — and, by the way, he found a lot of them! For me, every Bernstein piece is a complete story and, besides being wonderful, every Bernstein story has a moral. He spent his life connecting the dots between his beloved worlds of sound and words. He used them to constantly explore those existential questions that challenged him. The question of faith — religious, spiritual or simply faith in humanity — was never far from his mind. And we hear this faith in the voice of the trumpet in the epilogue of the symphony. The Age of Anxiety is the story of strangers connecting on a fundamental and very human level. Through shared experience, shared archetypes, shared loneliness and a shared search for meaning in life, the four characters explore their respective and collective lives. After ruminating on "The Seven Ages" in life (the second section in the symphony) and finding no answers, they set off on a series of seven allegorical journeys together. And when that proves fruitless, they confront the ultimate question: Is there really any meaning in life at all? For Bernstein this is a moment of atonality, portrayed musically by a 12-tone row of pitches on the piano. And then comes his answer. He takes that 12-tone row and transforms it into a hip, grooving, bebop jazz that is not to be believed. When in doubt, or when things started to get too heavy, Bernstein always opted for a party.